Candidates Intending to register for the 2017/18 November/December NECO Senior School Certificate Examination (SSCE) are hereby informed that registration has began and will be strictly on-line using the NECO registration website only, beware of fake websites. Registration can be done on the website at any time within the stipulated registration period. Passport Photograph will be required during on-line registration. The candidates passport photograph should NOT be more than SIX MONTHS old and must be of white background. 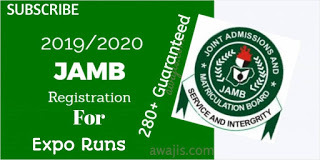 Registration Instructions To register, interested candidates should obtain a bank draft of Eleven Thousand Three Hundred and Fifty Naira (N 11,350) Only, payable to the Registrar, National Examinations Council in any of the NECO State Offices nationwide or in cash in any designated Bank or NIPOST offices nationwide. The registration fee includes cost for Biometric Data Capture, an Examination Ethics CD and Administrative Charges. Interested Banks and NIPOST Headquarters should visit NECO Headquarters for further clarifications. Attestation/Photo Cards and Examination Time-Table On completion of the registration process, each candidate must obtain the following from the internet cafe: Time Table for the Examination; and One (1) clear copy of the NECO Attestation/Photo card; which should be presented for each examination. (Candidates should note that Attestation/Photo cards that are not clear will NOT be accepted at the examination hall). Blind Candidates Blind candidates are to register like everyone. 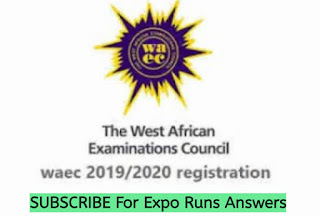 However, the NECO State Officer of the state where they intend to write the examination should be notified of their physical status immediately after registration. Examinations Centres The -towns where the examination will be held have been grouped into examination towns/neighborhoods. Candidates should select a town/neighborhood within the state where they intend to sit for the examination. Available Subjects for the Examination Agricultural Science Arabic Language Biology Chemistry Christian Religious Studies Commerce Economics English Language Financial Accounting French Further Mathematics Geography Government Hausa Health Science History Igbo Islamic Studies Literature-in-English Mathematics Marketing Physical Education Physics Salesmanship Stenography Store Keeping Yoruba Note: Candidates should note that Nigerian Languages (Hausa, Igbo &Yoruba) include Literature. Registration Period The registration period begins on 3rd July, 2017 and ends on 30th September, 2017 at 12.00 midnight. (Late registration will only be approved by the Registrar at the NECO Headquarters, Minna, Niger State). Steps Of Application Interested and qualified candidates should: Click here to apply online General Information The Registration fee, once paid, is not refundable. The use of reputable cyber cafes is highly recommended as the Council will not be liable for registration errors committed by candidates. (A list of suggested cyber cafes nationwide where candidates can log on to register are available on the NECO website – www.mynecoexams.com or are physically on display at our State offices nationwide) Biometric Fingerprints will be captured along with the registration of each candidate. Candidates should ensure that their fingerprints are captured correctly during registration. Candidates with fingerprints not verified on the day of the examination will not be allowed to sit for the examination. Candidates should carefully follow the instructions on the on-line scratch card before registration. Candidates should study the Regulations and Syllabuses before registration. Candidates should note that their uploaded image/photograph during the registration will be embossed on their certificates. Smoking, cellular phones and other electronic communication devices are not allowed in the examination hall Candidates should dress in mufti and no one will be allowed entry into the examination hall with arms. Multiple entries are not allowed. Candidates who register more than once will have their entire results cancelled. Candidates who damage or lose their scratch cards before registration will have to purchase another card. Please note that No candidate shall be allowed into an examination hall once an examination commences. Candidates are no longer required to stamp or submit their attestation/photo cards in NECO state offices nationwide. A clear copy of the downloaded attestation/photo card, duly signed and stamped by a referee should be presented for each paper.